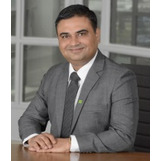 "Our discovery and wealth management approach is driven by what matters most to you"
Rusi Thakkar is an Associate Portfolio Manager with TD Wealth Private Investment Counsel. Rusi has over ten years of experience with financial planning and investment management. Prior to joining the investment industry, he began his career in India overseeing international business operations with a global export company. Rusi also worked in West Africa and the Middle East, and has held a broad spectrum of roles including international business development and financial risk management. Rusi takes the time to understand what is important to his high net worth clientele. His clients rely on him for help with investment management, tax management strategies, business succession, and intergenerational wealth planning. Rusi creates comprehensive and integrated wealth solutions for all of his clients. As a member of TD Bank Group, Rusi has access to full suite of specialists that each has their own sets of expertise in Tax and Estate Planning, Banking and Credit or Insurance needs. Rusi is able to leverage these specialists when building custom portfolios or when tackling complex needs. Rusi and his wife, Jigna, spend their free time keeping up with an active schedule for their son, Tig. In addition Rusi also spends time practicing yoga and reading Sanskrit books. Occasionally, you will find Rusi at the golf course with his friends. Faiza joined TD Wealth Private Investment counsel in 2018; she is responsible for client services and admistrative tasks for the team. Prior to accepting this role she worked with TD Canada Trust. Faiza started her Banking Career in 2011 in Pakistan as a Management Trainee with one of the largest commercial Bank, after successful completion of the training she worked as a product development Manager. Faiza is committed to lifelong learning; she has completed her Master in Arts from Ryerson University Toronto and is also considering the CFA program in the near future. In her personal time Faiza likes to Travel and explore new places as well as spending quality time with friends and family.